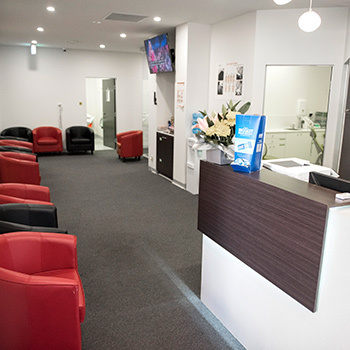 Shine Dentists opened in 2004, with our first location in Gungahlin. Since that time, we’ve expanded, and offer the Franklin community the convenience of outstanding dental care for the entire area. All ages are welcome at our dental centre, from children to seniors. At our family-orientated practice, our aim is to deliver the highest quality of services at affordable prices. We believe everyone should have the right to access dental care. We accept health funds and are in-network with several plans. HICAPS are available on-site for immediate processing. Additionally, we keep our fees competitive for those who don’t have dental coverage. The range of solutions we offer includes all general dentistry, orthodontics and cosmetic dentistry. When you become a patient with our qualified team, we focus on addressing your problems with thorough treatment plans that suit your needs. You’ll be given all possible options and can choose which is best for you. Along the way, we provide an education about protecting your oral health, now and in the future. If you’re experiencing a dental emergency, we strive to see you immediately. We understand that if you’re in pain or have had a trauma, you need prompt, comprehensive service. We also offer same-day appointments, as well as convenient hours on Saturdays and Sundays to work around your busy schedule. Contact us today!